Many people find cooking rice daunting. Although the process is simple and straightforward, the end result usually can’t be predicted – at least not without the help of additional cooking tools like the modern-day stainless steel rice cooker. Today, it is an indispensable tool in every kitchen and can be relied on not just in cooking perfect rice but also in creating a host of other dishes. You can steam, simmer, boil, or “bake” in this cooking tool. With that said, you should get yourself a stainless steel rice cooker if you don’t have one yet. 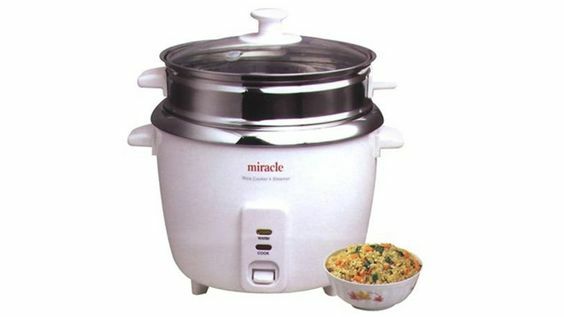 It will make your life a lot easier and can eliminate the possibility of you undercooking or overcooking your rice. The rice cooker will do all the work for you, so you can sit back and relax or do other chores in your kitchen. We checked out what the market has to offer and looked for those with versatile features, durable functions and efficient mechanisms. Rice cookers are unfailing pieces of equipment in the kitchen. All you have to do is put some rice and water in the pot, turn the machine on and wait for your rice to get cooked. No more babysitting your rice. Modern rice cookers use the same principle as when you are using a normal pot to cook rice. It maintains a steady amount of heat that’s just enough for the rice inside it to get all fluffy and cooked thoroughly. Rice cookers usually cook under four phases: setting the rice in water, boiling, steaming, and then resting. These processes are made possible by an electric plate that heats up the pot of the rice cooker. Since all the cooking has been automated, you no longer have to adjust the heat settings or monitor the rice as it cooks. The rice cooker will take care of everything for you. Needless to say, a rice cooker really is a convenient kitchen tool that can significantly save you time and effort when it comes to cooking rice. Before you decide which rice cooker you should get, you should first go over these features and benefits to ensure that the rice cooker you will be getting will perfectly fit your personal preferences and needs. One feature that you might find handy is a nice set of programmable functions. With programmable functions, you will be able to cook any kind of rice, and maybe even other types of food, really quickly with just a single push of a button. This feature can be really useful if you are the kind of person who is always in a hurry. It can surely help you save a couple of minutes in preparation for cooking. Many programmable features are also energy-saving, so you can avoid wasting so much energy when your rice cooker is turned on all the time. A keep warm function can be very useful if you prefer making a large batch of rice at once instead of making several batches of rice for the day. What a “keep warm” function does is that it helps you heat up already cooked rice. This way, you can get fresh-tasting warm no matter what time of the day it is. It also prevents your rice from drying up, so you can enjoy leftover rice. I personally think that the lids that come with rice cookers are fine as long as they are tight-fitted. However, you may want to check out rice cookers that come with clear covers just for easier monitoring of your food (not that you need to monitor it, because rice cookers pretty much automate the whole cooking process). It just seems more convenient when you can take a quick peek and check whether the rice is done. Some rice cookers come with steamer trays that you can use to steam all sorts of food. If you are a healthy eater who likes to steam food, you should try to look for a rice cooker that comes with a steamer tray or two for added versatility. You can steam vegetables and even other foods like rice cakes. There are even recipes that will allow you to cook bread in the rice cooker using its steam functions. You might also want to opt for a rice cooker that comes with something that completely separates the rice from the steamer tray to avoid having the flavors of the food and rice mixing up. You might want to look for a rice cooker that can heat the pan fast. This way, you won’t have to wait for a long time for your rice to be cooked, which can happen if you are making a big batch of rice. This also comes handy when you want to serve rice for big events like parties. If you have cooked rice the before, and if you have left the rice pot to dry, you must know how hard it is to clean dry rice from a cooking pot. This is why you should opt for a rice cooker that comes with non-stick interiors. A non-stick interior will help reduce your efforts when it comes to cleaning. However, you should keep in mind that non-stick coatings can be easy to scratch, so you will have to be extra careful if you want your rice cooker to last. Read our detailed review of the products below. 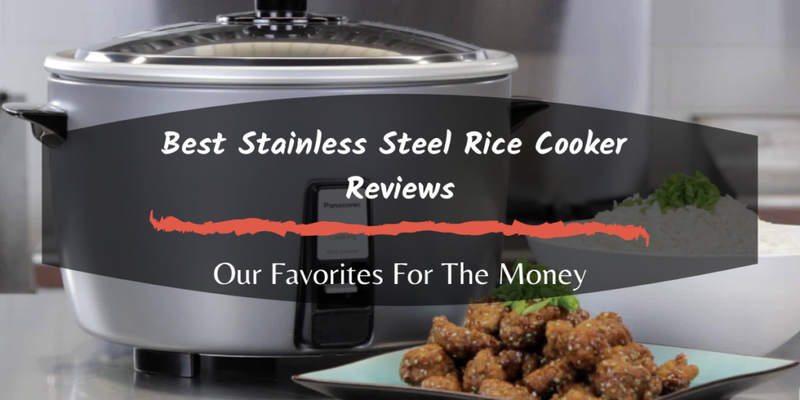 This rice cooker is one of the best stainless steel rice cookers today because it comes with a nice set of features that you can utilize to make every aspect of cooking with it easy. This product comes with 6 handy functions that can allow you to cook rice, slow-cooked meat, steam vegetables, brown poultry, make soups and keep your food warm for a long period of time. What’s great about this rice cooker is that it’s very easy to use and maneuver. It comes with a large control panel that has a user-friendly interface as well as 10 smart programs. Another great thing about this product is that it is completely sturdy. It can last for a long time. It also comes with several accessories including a stainless steel rack, a rice scoop, soup ladle, measuring cup, manuals, recipes, and even cooking time manuals. 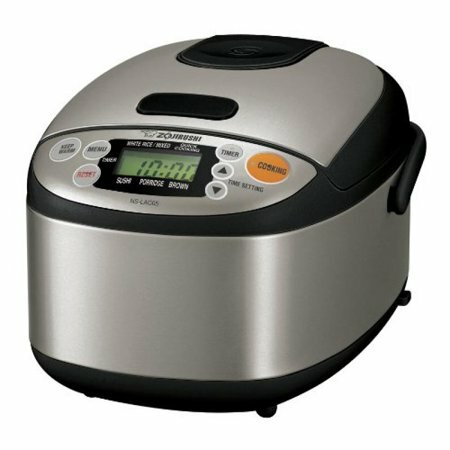 This medium capacity rice cooker is a great choice for anyone who likes to cook rice for small groups. 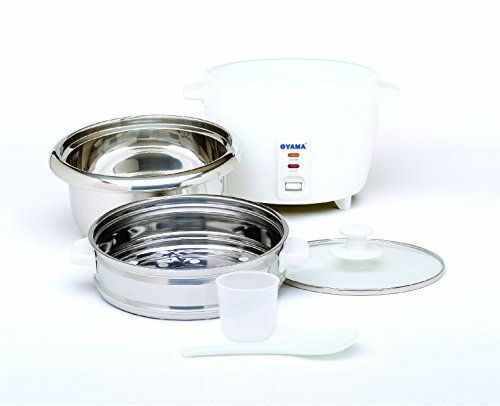 This rice cooker can easily provide you with 8 cups of thoroughly cooked rice regardless of type. This rice cooker comes with a handy set of features including a delay timer and an automatic keep warm function. Though this rice cooker doesn’t contain all the bells and whistles that come with more advanced models, it surely is a practical machine that’s very easy to use. 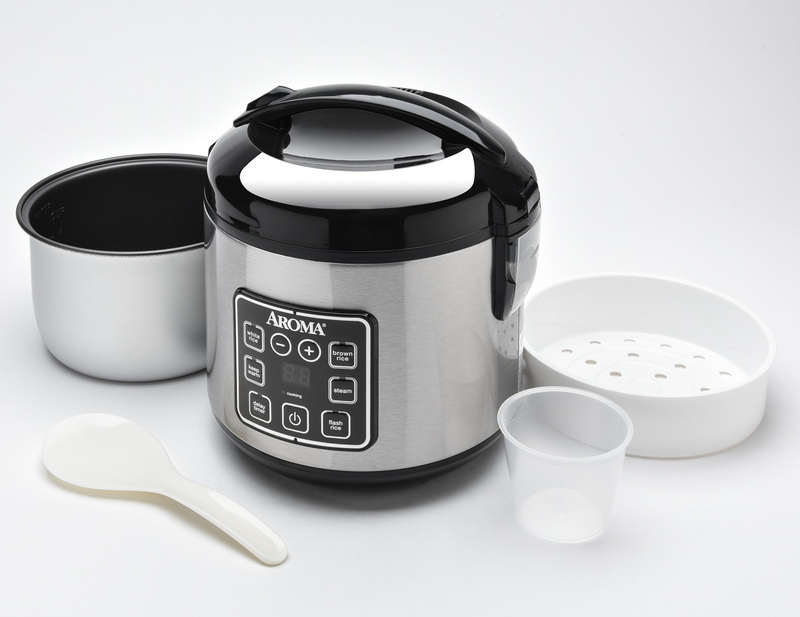 If you decide to get this rice cooker, you will also get a steam tray, a rice spoon, a measuring cup and recipes to follow. This rice cooker comes with 7 cooking functions that will enable you to slow cook meals, cook rice, make yogurt, steamed vegetables, brown meat, and keep your rice or other food warm until serving time. What’s great about this rice cooker is that even though it comes with several functions that can be overwhelming to navigate, it comes with a simple and easy-to-understand control panel that will allow you to access each function through a single push of a button. Perhaps the thing I liked the best about this machine is its 14 controlled programs that can let you make all sorts of food without having to input any settings. This high capacity rice cooker is the ideal choice for anyone who constantly cooks rice for large groups of people. This rice cooker can allow you to easily whip up 20 cups of thoroughly cooked rice. It can even be used to steam all kinds of food as you cook the rice. Another great thing about this rice cooker is that it comes with user-friendly programmable features that eliminate all the hassles that you can think of when it comes to cooking rice. It even comes with an automatic keep warm feature and a 15-hour delay time for time-related cooking concerns. This small capacity rice cooker can be a great choice for anyone who lives alone or only cooks a small amount of rice from time to time. This rice cooker can help you make up to 6 cups of evenly-cooked rice within mere minutes. This small machine comes with several cooking functions for cooking porridge, sushi, browning meat, and quick cooking rice. It also comes with a detachable inner lid for easier cleaning. Other interesting features of this product include a keep-warm function, reheat cycle, delay timer, and a retractable power cord. Get the Zojirushi NS_LAC05T if you only cook small batches of rice or you only occasionally cook rice. This small-sized rice cooker is also ideal for those who live alone or those who have a small kitchen. It’s also quite the versatile piece as you can use it for other cooking purposes. For small to medium-sized families, the Instant Pot IP-DUO6 and the Instant Pot IP-LUX60 are right for your needs. You don’t have to fear overcooking or undercooking your rice. 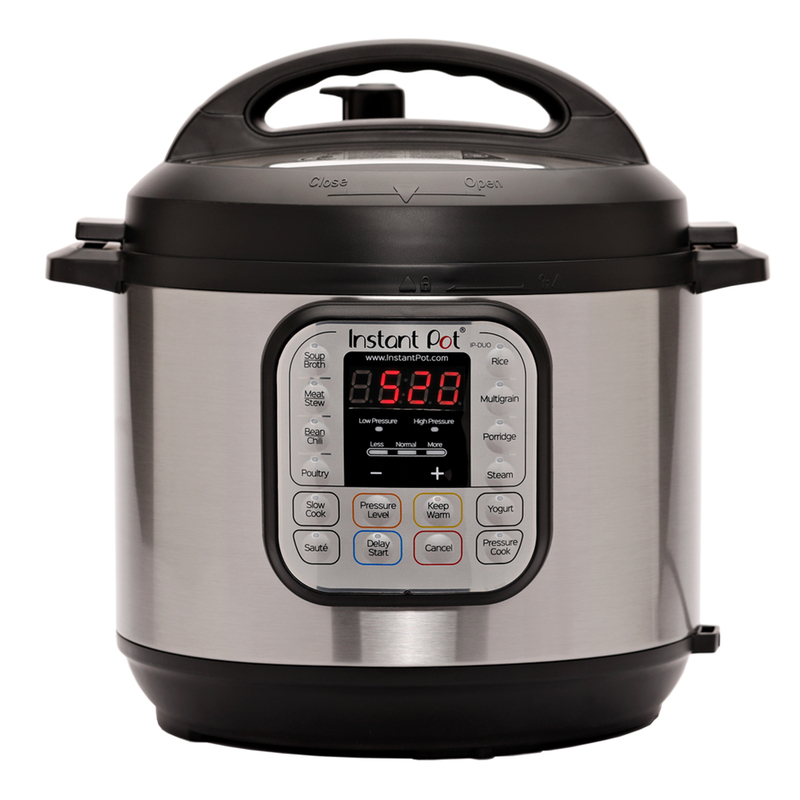 Consider buying the Instant Pot IP-DUO60 as it is the best stainless steel rice cooker and can help you avoid excessive cooking. They are not the cheapest out there, but you can rely on these machines to create perfect rice all the time. They are also equipped with stellar functions that will allow you to do all sorts of cooking tricks. 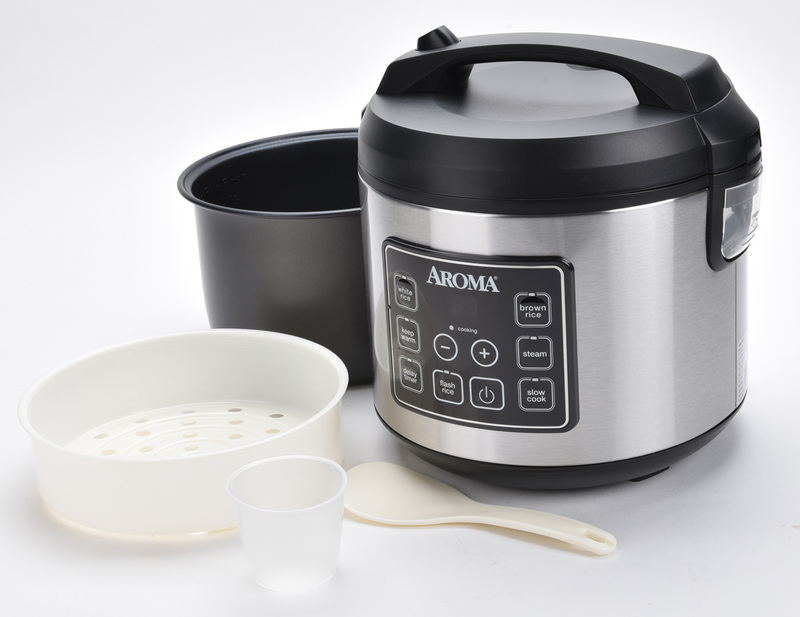 If budget is an issue, go for the Aroma Housewares ARC-914SBD. 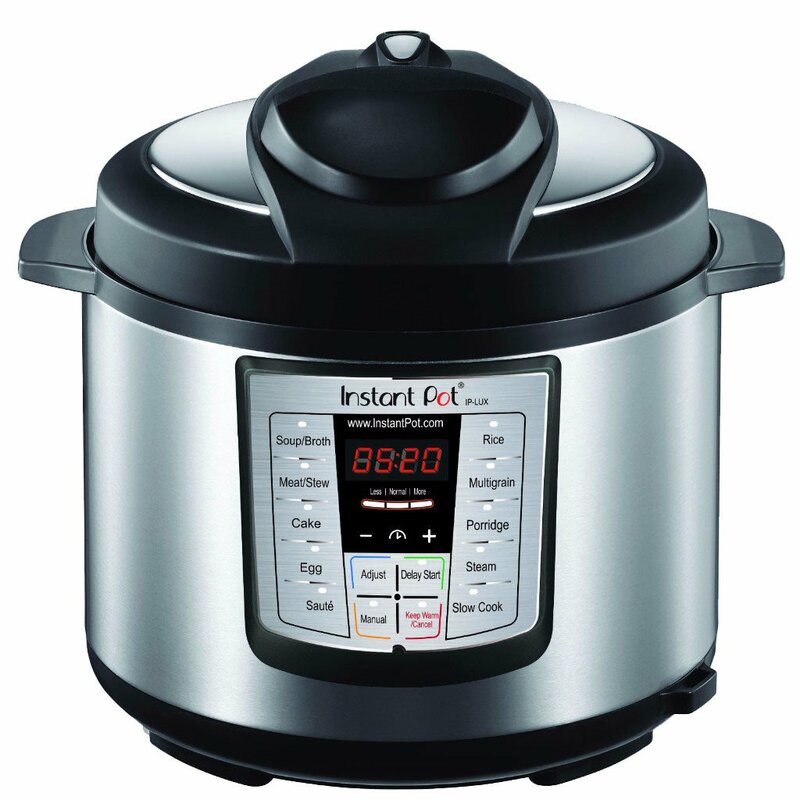 It’s not as complete with advanced features as the Instant Pot but should serve you well when it comes to cooking rice. For those who need to cook a lot of rice all the time such as in the case of professional cooks, caterers or those with a big family, the Aroma Housewares Digital Rice Cooker is a recommended option. Try our recommendations. Click the links of the products you fancy. Make sure your kitchen is also complete with other cooking tools and equipment. You can find more product reviews, buying tips and product recommendations on our homepage.